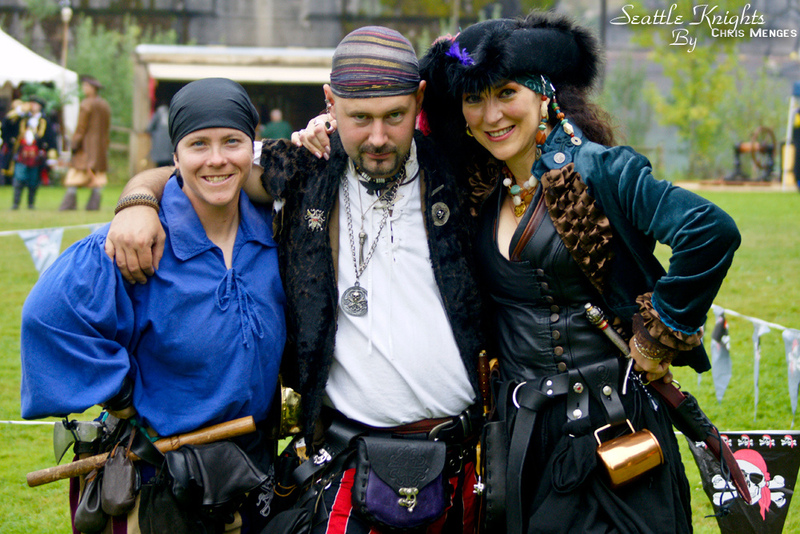 The Pirates of Puget Sound (PoPS) switch hats to bring you the wildest bunch of skallywags to ply the seven seas. These scurvy dogs are fierce and not to be trifled with, attacking one another at the drop of a parrot with everything from boarding axes and belaying pins to cutlasses and cutting wit -- all laced with dazzling feats of acrobatics, tumbling, and tomfoolery. Spoken of in hushed whispers in port side taverns around the world as the infamous "Jack Pack," these raucous rowdies all go by the name "Jack" in one form or another. It may be a wee bit confusing aboard ship, but it does makes cheering a lot easier. Besides making sure ye never forget a shipmate's name! 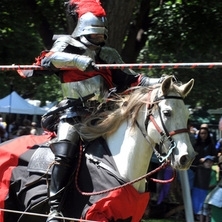 The Pirates of Puget Sound not only provide entertainment and combat with a piratical flair, they also specialize in providing kids entertainment. They come equipped with several pirate games that are appropriate for kids of all ages. For more information about the games and pirate entertainment, please click here.